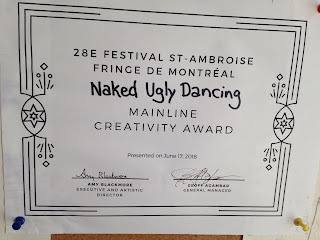 I had a super-duper time at the Montreal Fringe in June and I won the juried MainLine Theatre (hosts of the fringe) Creativity Award! 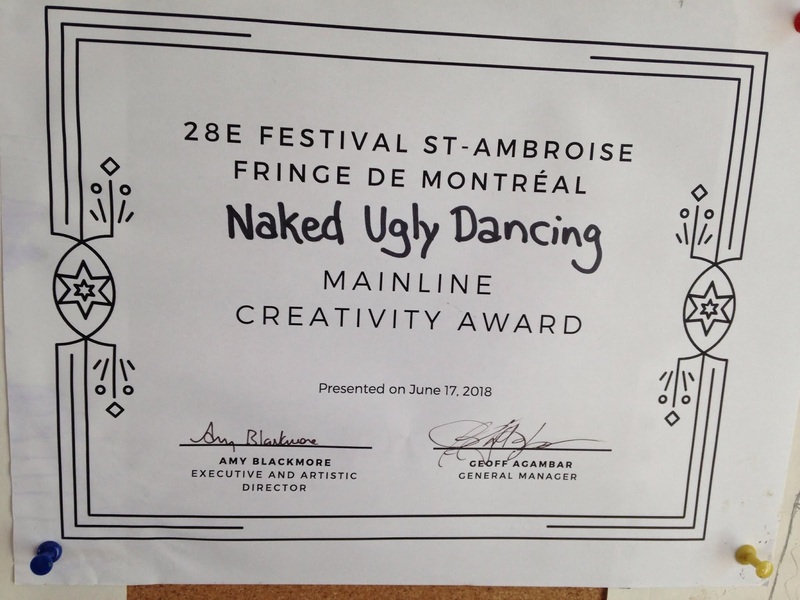 Thank you Montreal Fringe! Funnest fringe! And two, because the two shows that were runners-up were stellar; both deeply feeling and intellectual. Devon More's Flute Loops and Ulfet Sevdi and Nicholas Royer-Artuso's 4'33" in Baghdad. 4'33" in Baghdad is my favourite fringe show that I have ever seen. A sardonic but heartful academic addresses imperialism and atrocity through the lens of musicology. Dry wit and brilliant. Unfortunately their fringe run is over but Devon is bringing Flute Loops to Winnipeg, Calgary, Edmonton and Vancouver Fringes. If you have the chance, see it! Our nation's continued persecution+prosecution of the vulnerable+impoverished is an atrocity. Showing up for my Monthly Act of Disruption and Resistance near Victoria's newest tent city is my artistic response to the disgust+despair I feel living as a privileged, complicit person in a money-laundering economy that creates brutal homelessness. 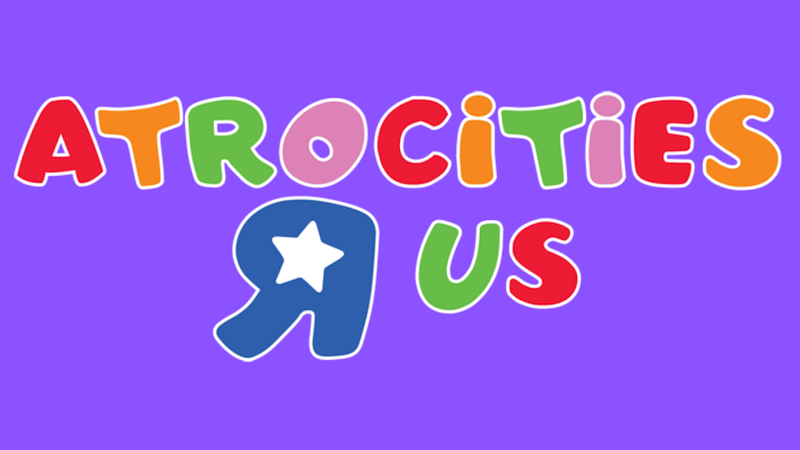 I will be wearing my new Monthly Actions uniform of inside out menstrual pads covering my genital area.